He was born March 21, 1936, in Stendal, Indiana, to McKinley and Norma K. (Henke) Hagemeyer; and married Dee Ann Oxley on August 9, 1959, at St. Peter’s Lutheran Church in Stendal. Paul was a retired teacher, basketball coach, and track coach with the Warrick County School Corporation, spending many years at Lynnville Elementary and Ella Williams Elementary Schools. He enjoyed writing, storytelling, woodworking, I.U. Basketball and breakfast at Denny’s. He was a lifelong member of St. Peter’s Lutheran Church in Stendal. Paul was preceded in death by his wife, Dee Ann Hagemeyer, who passed away on November 4, 2012; his parents; and one brother, Theodore Hagemeyer. 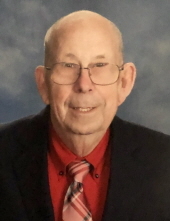 Funeral services for Paul J. Hagemeyer will be held at 11:00 a.m., E.S.T., on Wednesday, February 13, 2019, at St. Peter’s Lutheran Church in Stendal with Pastor Ed Wicks officiating. Burial will follow at St. Peter’s Lutheran Church Cemetery. "Email Address" would like to share the life celebration of Paul J. Hagemeyer. Click on the "link" to go to share a favorite memory or leave a condolence message for the family.